Actor Tom Hiddleston plays Loki in the Avengers films. The figure of the trickster is an archetype found in cultures the world over. From devious Loki to the dancing Kokopelli, most societies have had, at some point, a deity associated with mischief, deceit, betrayal and treachery. However, often these trickster gods have a purpose behind their trouble-making plans! Anansi the Spider appears in a number of West African folktales, and is able to shift into the appearance of a man. He’s a pretty important cultural figure, both in West Africa and in Caribbean mythology. Anansi tales have been traced back to Ghana as their country of origin. A typical Anansi story involves Anansi the Spider getting into some sort of mischief — he’s usually facing a horrible fate like death or being eaten alive — and he always manages to talk his way out of the situation with his clever words. Because Anansi tales, like many other folktales, began as part of an oral tradition, these stories traveled across the sea to North America during the slave trade. It is believed that these tales served not only as a form of cultural identity for enslaved West Africans, but also as a series of lessons on how to rise up and outsmart those who would harm or oppress the less powerful. Originally, there were no stories at all. All the tales were held by Nyame, the sky god, who kept them hidden away. Anansi the spider decided he wanted stories of his own, and offered to buy them from Nyame, but Nyame didn’t want to share the stories with anyone. So, he set Anansi out to solve some absolutely impossible tasks, and if Anansi completed them, Nyame would give him stories of his own. Using cunning and cleverness, Anansi was able to capture Python and Leopard, as well as several other hard-to-catch beings, all of whom were part of Nyame’s price. When Anansi returned to Nyame with his captives, Nyama held up his end of the bargain and made Anansi the god of storytelling. To this day, Anansi is the keeper of tales. There are a number of beautifully illustrated children’s books telling the stories of Anansi. For grownups, Neil Gaiman’s American Gods features the character Mr. Nancy, who is Anansi in modern times. The sequel, Anansi Boys, tells the story of Mr. Nancy and his sons. One of the Orishas, Elegua (sometimes spelled Eleggua) is a trickster who is known for opening the crossroads for practitioners of Santeria. He is often associated with doorways, because he will prevent trouble and danger from entering the home of those who have made him offerings — and according to the stories, Elegua seems to really like coconut, cigars and candy. Interestingly, while Elegua is often portrayed as an old man, another incarnation is that of a young child, because he is associated with both the end and the beginning of life. He is typically dressed in red and black, and often appears in his role as warrior and protector. For many Santeros, it is important to give Elgua his due, because he plays a role in every aspect of our lives. While he offers us opportunity, he is just as likely to throw an obstacle in our way. Elegua originates in the Yoruba culture and religion of West Africa. It all started with the wedding of Thetis and Pelias, who would eventually have a son named Achilles. All of the gods of Olympus were invited, including Hera, Aphrodite and Athena — but Eris’ name got left off the guest list, because everyone knew how much she enjoyed causing a ruckus. Eris, the original wedding crasher, showed up anyway, and decided to have a little fun. She tossed a golden apple — the Apple of Discord — into the crowd, and said it was for the most beautiful of the goddesses. Naturally, Athena, Aphrodite and Hera had to bicker over who was the rightful owner of the apple. Zeus, trying to be helpful, chose a young man named Paris, a prince of the city of Troy, to select a winner. Aphrodite offered Paris a bribe he couldn’t resist — Helen, the lovely young wife of King Menelaus of Sparta. Paris selected Aphrodite to receive the apple, and thus guaranteed that his hometown would be demolished by the end of the war. In addition to being a trickster deity, Kokopelli is also a Hopi fertility god – you can imagine what sort of mischief he might get up to! Like Anansi, Kokopelli is a keeper of stories and legends. Kokopelli is perhaps best recognized by his curved back and the magic flute that he carries with him wherever he may go. In one legend, Kokopelli was traveling through the land, turning winter into spring with the beautiful notes from his flute, and calling the rain to come so that there would be a successful harvest later in the year. The hunch on his back represents the bag of seeds and the songs he carries. As he played his flute, melting the snow and bringing the warmth of spring, everyone in a nearby village was so excited about the change in seasons that they danced from dusk until dawn. Soon after their night of dancing to Kokopelli’s flute, the people discovered that every woman in the village was now with child. Images of Kokopelli, thousands of years old, have been found in rock art around the American southwest. Among the gods or spirits who were of ancient times--may they be ever favourable to us! Among them (was) one female who was the craftiest and most knavish of them all. She was called Laverna. She was a thief, and very little known to the other deities, who were honest and dignified, for she was rarely in heaven or in the country of the fairies. She was almost always on earth, among thieves, pickpockets, and panders--she lived in darkness. He goes on to relate a story of how Laverna tricked a priest into selling her an estate — in exchange, she promised she would build a temple on the land. Instead, however, Laverna sold off everything on the estate that had any value, and built no temple. The priest went to confront her but she was gone. Later, she swindled a lord in the same manner, and the lord and the priest realized they had both been the victims of a deceptive goddess. They appealed to the Gods for assistance, and who called Laverna before them, and asked why she had not upheld her end of the bargains with the men. "Behold me, for I am Laverna, who have come to answer to that lord's complaint,who swears that I contracted debt to him,and have not paid although the time is o'er,and that I am a thief because I swore upon my head--but, as you all can see, I have no head at all, and therefore I assuredly never swore by such an oath." This led to significant laughter among the gods, who made the matter right by ordering the head to join the body, and instructing Laverna pay up her debts, which she did. Laverna was then ordered by Jupiter to become the patron goddess of dishonest and disreputable people. They made offerings in her name, she took many lovers, and she was often invoked when someone wished to hide their crimes of deception. In Norse mythology, Loki is known as a trickster. He is described in the Prose Edda as a "contriver of fraud." Although he doesn’t appear often in the Eddas, he is generally described as a member of the family of Odin. His job was mostly to make trouble for other gods, men, and the rest of the world. Loki was constantly meddling in the affairs of others, mostly for his own amusement. Loki is known for bringing about chaos and discord, but by challenging the gods, he also brings about change. Without Loki's influence, the gods may become complacent, so Loki does actually serve a worthwhile purpose, much as Coyote does in the Native American tales, or Anansi the spider in African lore. 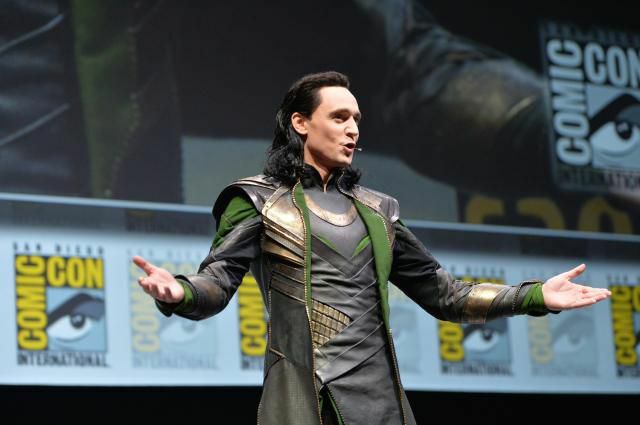 Loki has become a bit of a pop culture icon lately, thanks to the series of Avengers movies, in which he is played by British actor Tom Hiddleston. In addition to his roles as a smith and craftsman and warrior, Lugh is known as a trickster in some of his tales, specifically those rooted in Ireland. Because of his ability to change his appearance, Lugh sometimes appears as an old man to fool people into believing him weak. Peter Berresford Ellis, in his book The Druids, suggests that Lugh himself might be the inspiration for folktales of mischievous leprechauns in Irish legend. He offers the theory that the word leprechaun is a variation on Lugh Chromain, which means, roughly, "little stooping Lugh." Although there is little documented information about Veles, parts of Poland, Russia and Czechoslovakia are rich in oral history about him. Veles is an underworld god, associated with the souls of deceased ancestors. During the yearly celebration of Velja Noc, Veles sends the souls of the dead out into the world of men as his messengers. In addition to his role in the underworld, Veles is also associated with storms, particularly in his ongoing battle with the thunder god, Perun. This makes Veles a major supernatural force in Slavic mythology. Finally, Veles is a well-known mischief-maker, similar to the Norse Loki or Greece’s Hermes. In both Cree and Algonquin folklore, Wisakedjak shows up as a troublemaker. He was the one responsible for conjuring a great flood that wiped out the world after the Creator built it, and then used magic to rebuild the current world. He is well known as a deceiver and a shapeshifter. Unlike many trickster gods, however, Wisakedjak often pulls his pranks to benefit mankind, rather than to harm them. Like the Anansi tales, the Wisakedjak stories have a clear pattern and format, usually beginning with Wisakedjak trying to trick someone or something into doing him a favor, and always having a moral at the end. Wisakedjak appears in Neil Gaiman’s American Gods, alongside Anansi, as a character called Whiskey Jack, which is the Anglicized version of his name.